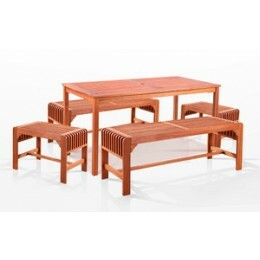 This bench is made from premium grade Eucalyptus Grandis hardwood, grown in 100% well managed forests in Brazil, certified by the FSC (Forest Stewardship Council). 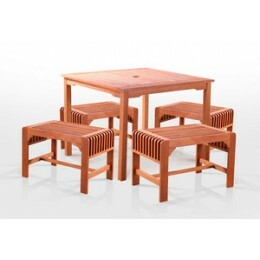 There is little difference between Eucalyptus and Teak when broken down to their core essence. The biggest attribute of Eucalyptus is undoubtedly the strength of the timber. Its renowned for its excellent resistance to every day wear and tear. 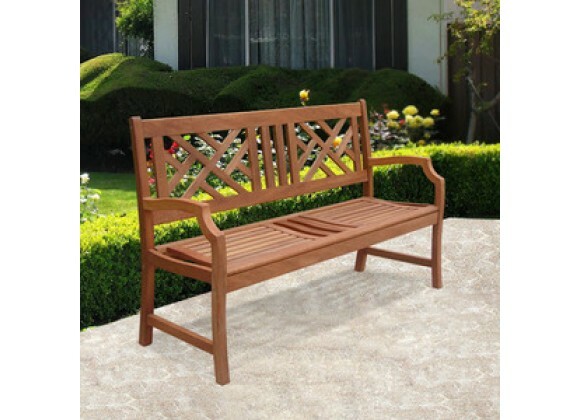 It is extremely durable and tightly grained to produce a desirable density. It remains unaffected by all variations in weather, especially its resistance to damp conditions makes itself extremely competent at combating insect attacks and decay. 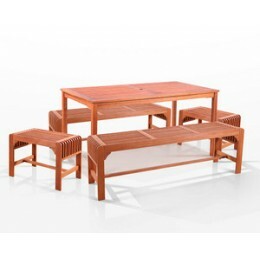 Vifah 5-Piece Two Set Backless Bench Dining Set, 59" x 32"
Vifah 5-Pc Three Seat Backless Bench Dining Set, 59" x 32"
Vifah 5-Pc Single Seat Backless Bench Dining Set, 35" x 35"